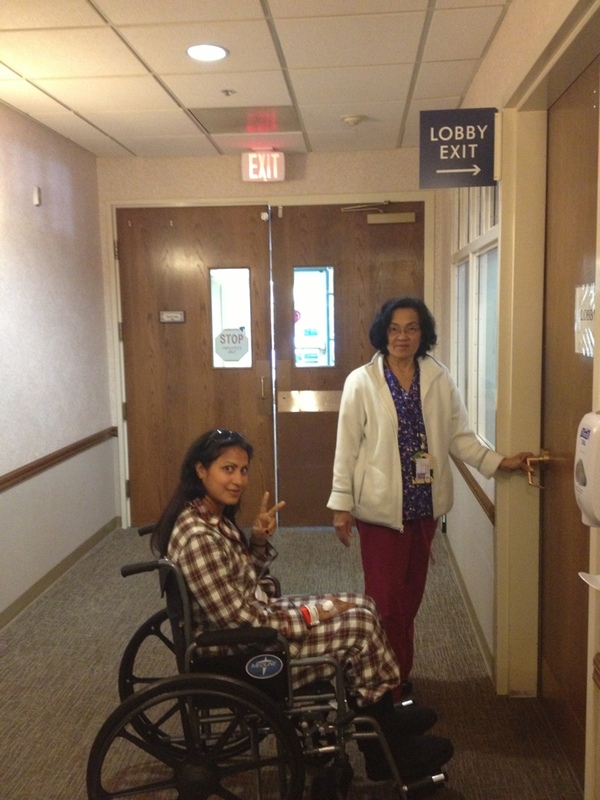 Triumphantly rolling out of the hospital. FU cancer! I agree…. looking good. Take care.